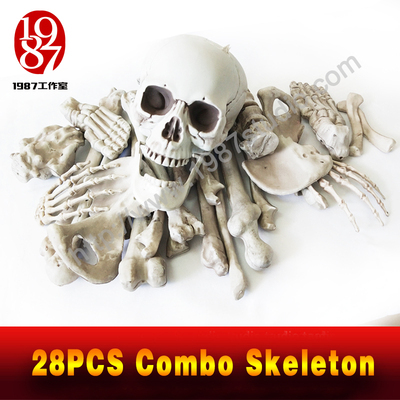 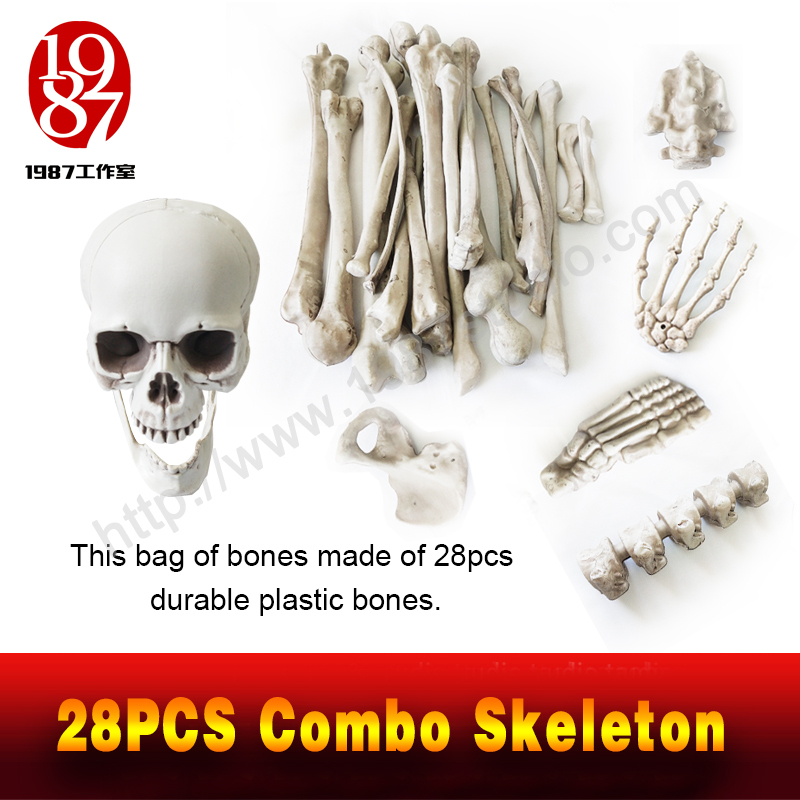 This bag of escape room bones prop made of 28pcs durable plastic bones. 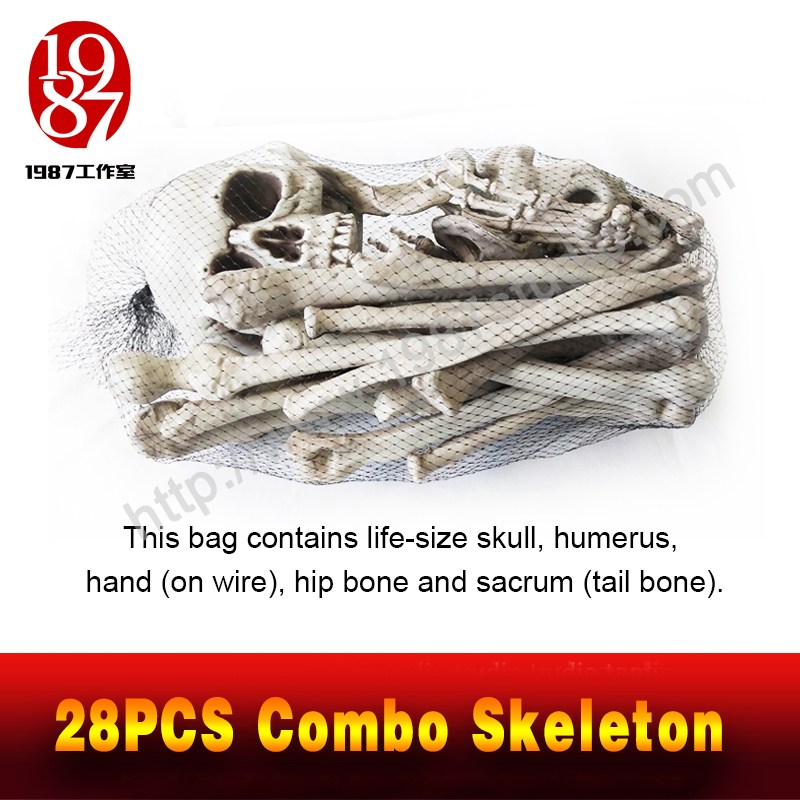 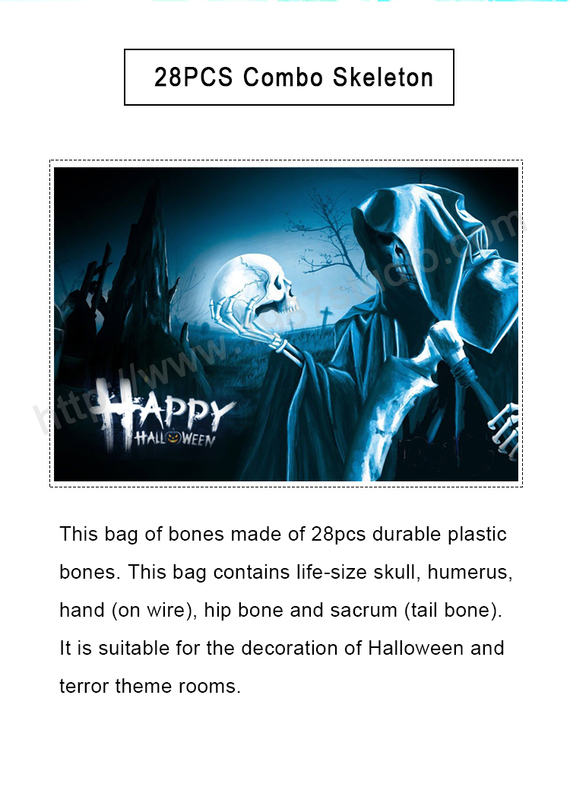 This bag contains life-size skull, humerus, hand (on wire), hip bone and sacrum (tail bone). This fright props is suitable for the decoration of Halloween and terror theme rooms. 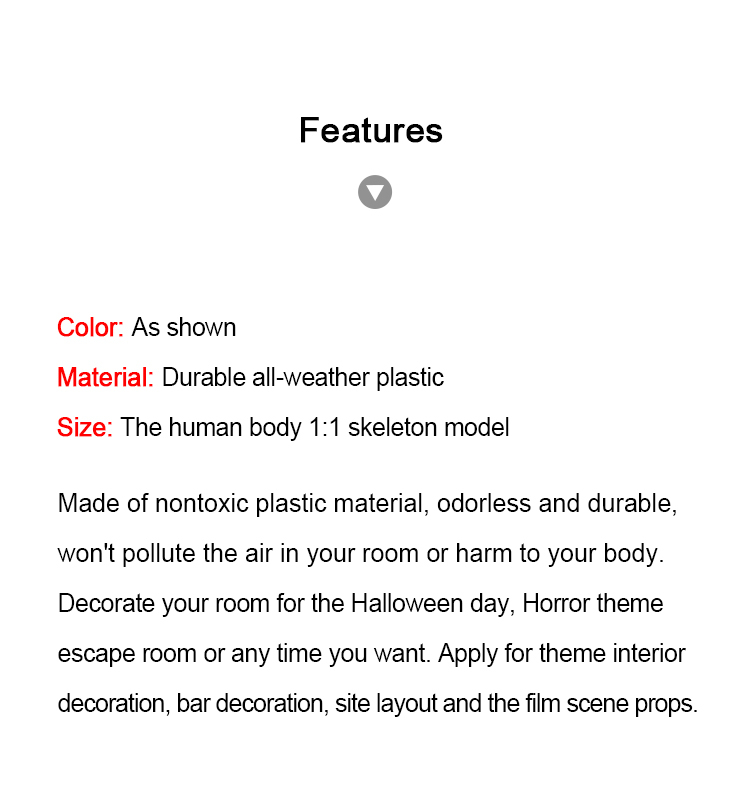 - Made of nontoxic plastic material, odorless and durable, won't pollute the air in your room or harm to your body. 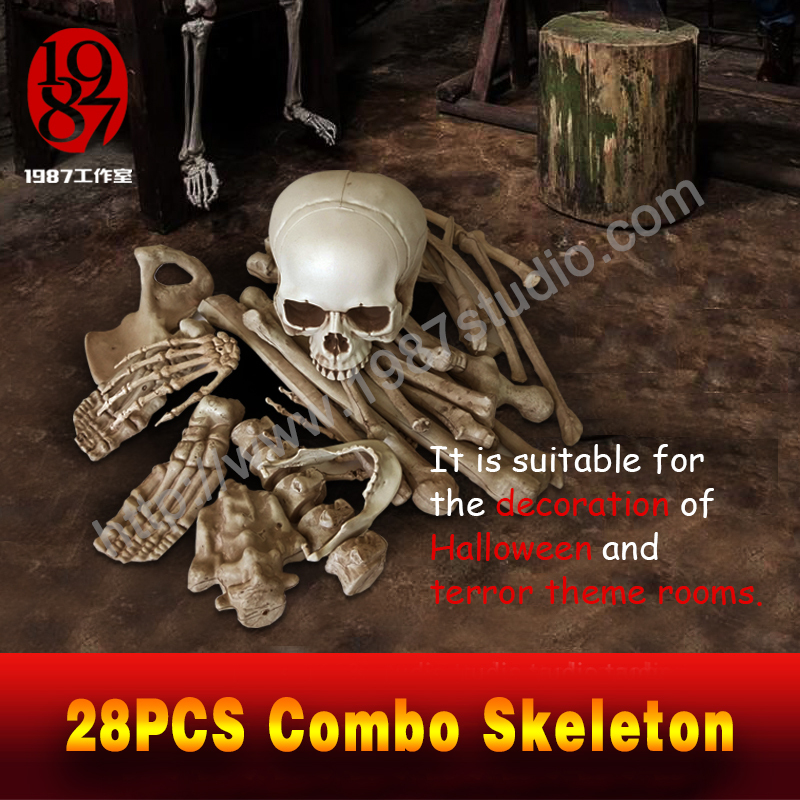 - Decorate your room for the Halloween day, Horror theme escape room or any time you want. 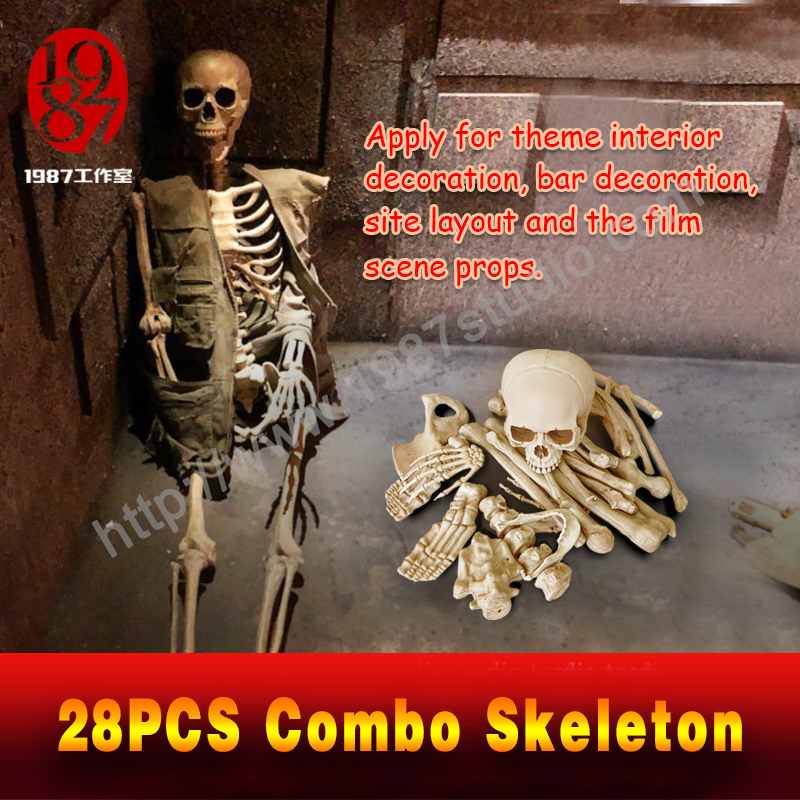 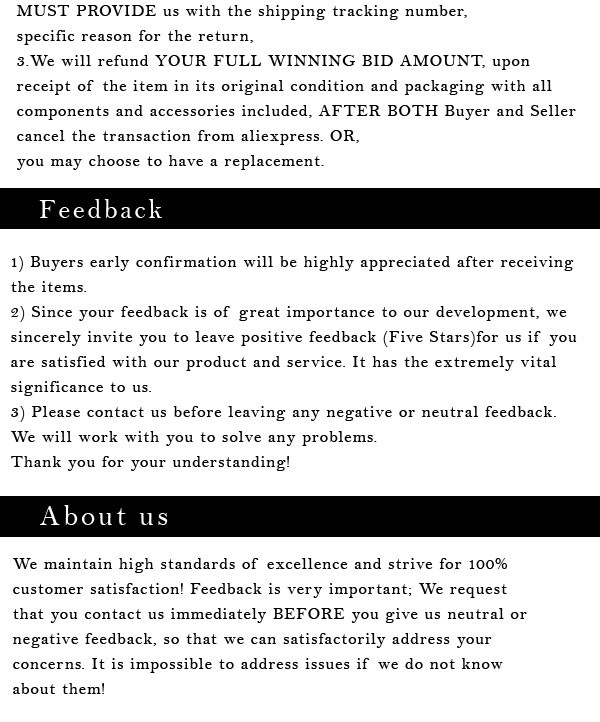 Apply for theme interior decoration, bar decoration, site layout and the film scene props.